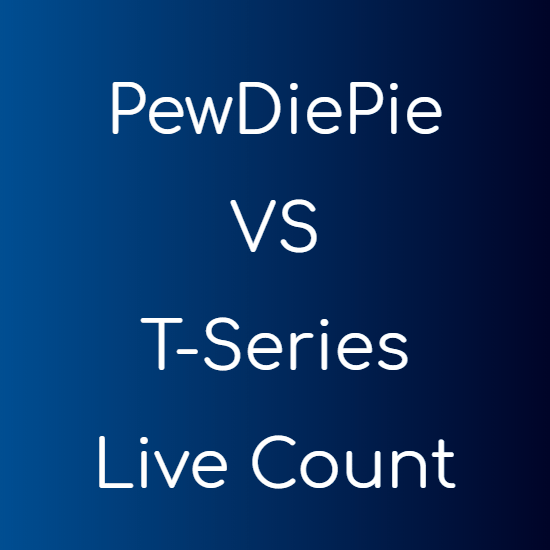 Facebook is the world’s most popular and most successful social network of all times. But still most people use it without taking advantage of all the keyboard shortcuts it provides. Using these, one can navigate through entire Facebook very easily without even touching the mouse, which increases speed and saves time. There are shortcuts both for navigating through the Facebook website and for the Facebook messages. All the shortcuts below are tested on the latest versions of Mozilla Firefox, Google Chrome and Internet Explorer. All these shortcuts work when you are in the messages section of Facebook. Use the “Alt + c” key combination to start and compose a new message. If you get messages from non-friends then you would know that they go to the others folder and not in the Inbox. If you receive too many of them then you can use the “Alt + u” combination to go to the others folder and “Alt + i” to switch back to the regular inbox. You can press the “Alt + g” key combination to search within your chats. You can archive any conversation on facebook. Archiving a conversation does not delete it, it just hides it from the inbox and moves it to the archive folder. Press the “Alt + z” on the keyboard to archive/unarchive a conversation. Pressing “Alt + r” will change a message’s status from read to unread and pressing it again will change it back to “read”. If you receive some message which you think are SPAM, you can easily mark them as spam by pressing the “Alt + j” key combo when viewing the message. 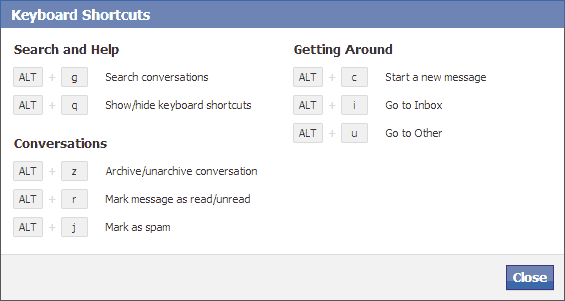 TIP You can view all these keyboard shortcuts by pressing the “Alt + q” key combination in Facebook messages itself. If you are browsing posts in the Lightbox mode (the pop-up box), you can simply press the “L” key to like/unlike the story. You can also press the left and the right arrow keys to navigate between different stories. You can use the keys “j” and “k” to scroll between stories in your news feeds.